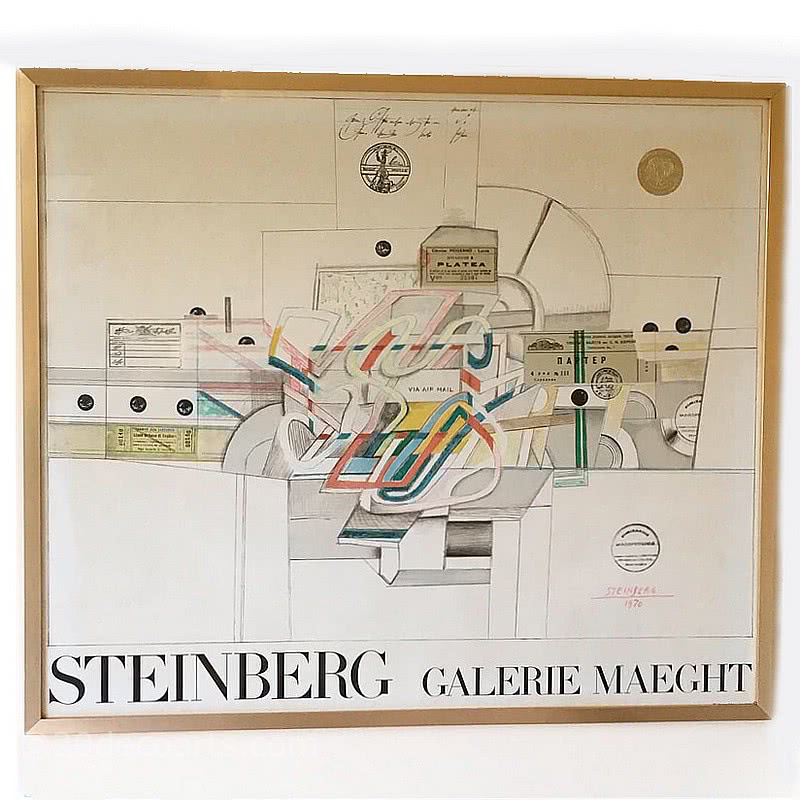 Saul Steinberg (1914 -1999) Lithograph for Galerie Maeght c1970 - Mounted in a contemporary rose gold anodised aluminium frame. 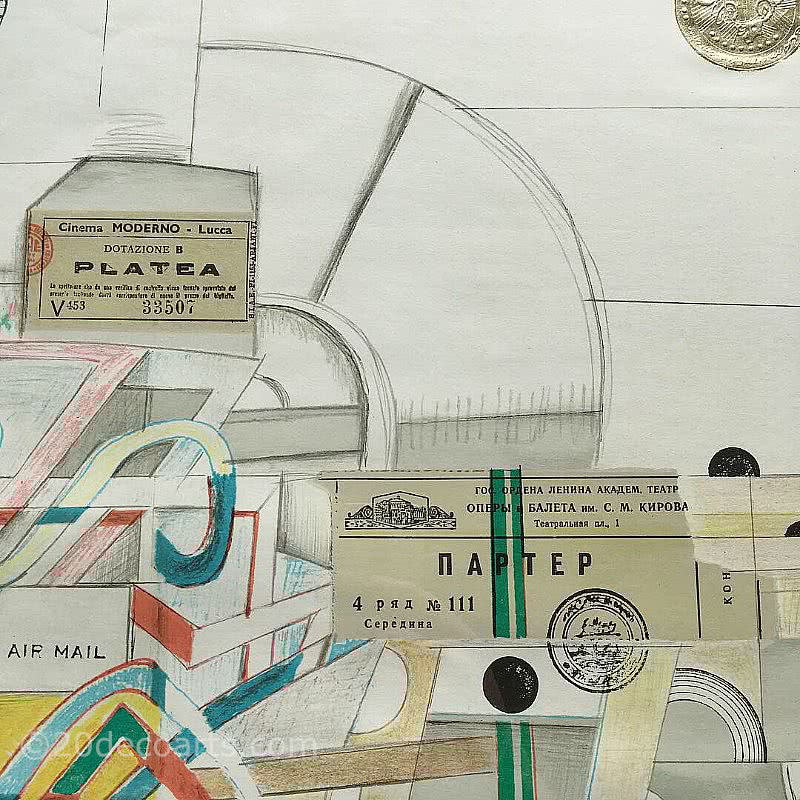 Saul Steinberg was born in Romania but spent most of his life in New York, most famous for his illustrations in the New Yorker he was also an acclaimed artist and sculptor exhibiting internationally in museums and galleries. This lithograph published by Galerie Maeght illustrates his "Art for Exhibition", featuring his use of crayon, collage and rubber stamps.